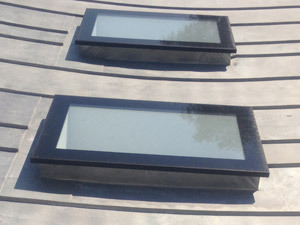 Orangery Solutions offer a range of roof lantern products that are both aesthetically pleasing and technically superior in design, utilising high quality powder coated aluminium components for durability. The hipped lantern can be both contemporary and traditional in appearance, thus suiting a wide range of dwellings, creating a light airy living space. Mono-pitch and flat flush-glazed for a modern design statement, adds the real wow factor with innovative design. Makes your project more individual by adding a touch of elegant simplicity. A high performance, durable and thermally efficient rooflight is what a premium orangery build deserves, don’t accept inferior products. Thermally broken aluminium roof system – class leading thermal performance. 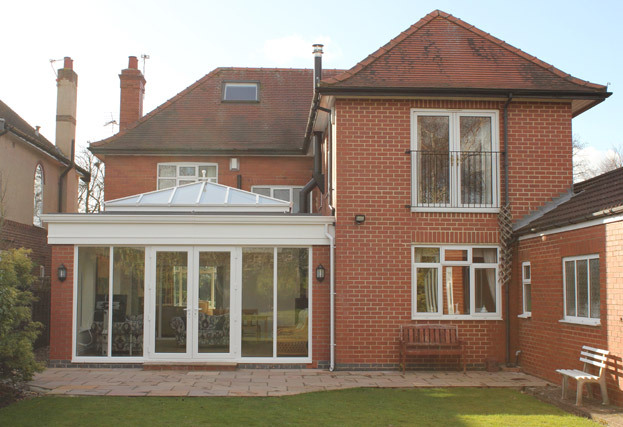 Deep internal rafter to suit both traditional and contemporary orangeries. 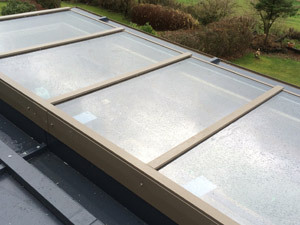 Slimline glazing bars - more sky less roof. Clean sharp lines internally - low sight lines externally. Superior structural performance ideal for triple glazing. Durable polyester powder coating in any RAL colour.